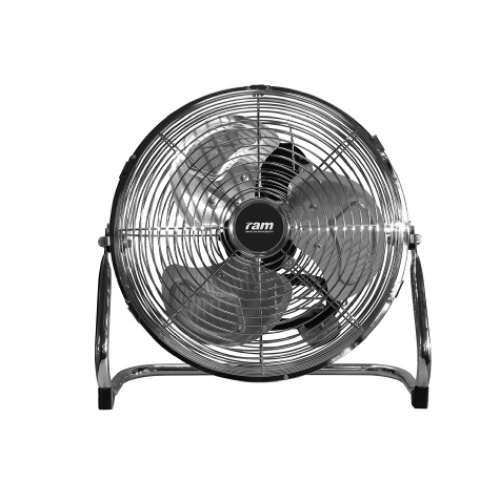 RAM Air Circulation Floor Fans are for creating a breeze in your grow room to help circulate air, strengthen stems and create a more natural growing environment for your plants. Ram fans feature high performance motors, 3 speed settings and a 360 degree tilt adjustment. These fans are designed so sit on the floor but they can be easily wall mounted or hung also. When using circulation fans always make sure they are not too close to your plants, the effect youre looking for is a gentle breeze that causes a slight rustling of your leaves not a howling gust that blows them all over the place. If your circulation fan is too close or too powerful you could cause wind burn to your plants which damages leaves, stems and overall plant development.